Our Moscow law firm "Advoka-T" was founded in 2008. Because professionals – practicing attorneys and lawyers with wide work experience - founded the company, we managed to establish ourselves firmly on the legal services market in and around Moscow over the years of the company existence. Our knowledge, diligence and devotion to the causes of our clients have brought remarkable results in our professional activity. Our loyal customers include big well-known firms and large-scale enterprises. However, not only legal entities, but also private clients benefit from our services. We adopt an individual approach and establish a friendly relationship with every client and thoroughly enjoy every legal case experience. We know and understand that every client expects special attention; we do our best to achieve this. Also, we are ready to give our clients any relevant information about their cases any time and at any stage of the work. Our best reward is exceeding expectations for our clients. Solid confidence and general commitment to results will undoubtedly yield favorable outcomes. Our lawyer's law company in Moscow is willing to grow and progress by continuously improving the quality of our service. Also, we accept any critical remarks from our customers, as we believe that healthy criticism is the key to real success. Therefore, we are willing to establish a mutually advantageous relationship based on communication, confidence and cooperation. Our Moscow lawyers have rich experience in conflict resolution. By utilizing our services, you stand a better chance of winning. Our specialists are used to winning and will not settle for less. Our firm has a great number of court victories in cases that were initially judged as hopeless, doomed to failure. We have received good references and compliments from our grateful clients. Members of our law firm in Moscow value our reputation, as well as the time and money of our clients ; that is why we seek long-term cooperation, demonstrating that our company is trustworthy. We are willing to help you twenty-four-seven, all year round. We guarantee absolute confidentiality and bear full responsibility for the quality of legal and intermediary services rendered by our company. The final result is extremely important to us. 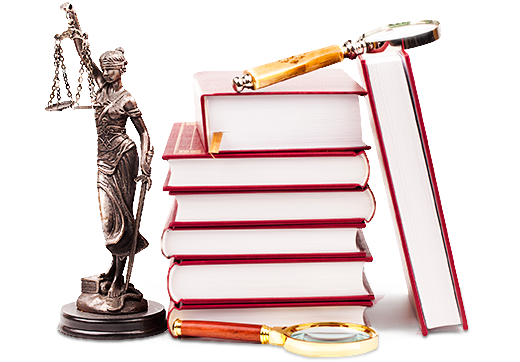 Please, be aware that there are no insoluble problems for our professional attorneys and lawyers! That is what we continuously prove to dozens of people and entities needing legal assistance. Therefore, if a case is doomed to failure, we will do our best to avoid loss or, at least, lose the minimum. We render high quality legal service. We will give special consideration to your problem or your case, do our best, and achieve the purpose in reasonable time. Our Moscow lawyer firm would gladly give you the legal assistance you need! Team of the “Advoka-T” company. © 2008 Law firm "Advoka-t"